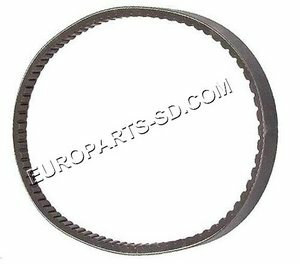 This unit has grooved surfaces for both a serpentine belt and a V-belt. Replace crankshaft bolt at same time as pulley. There are two different versions of this bolt. 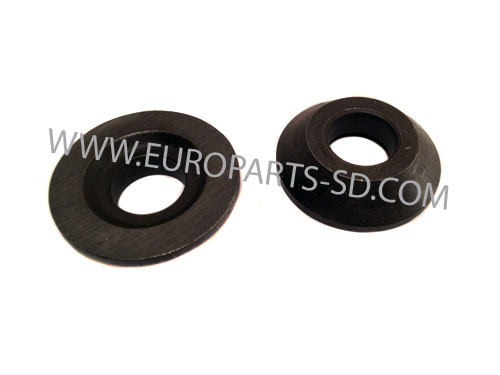 We strongly suggest replacing the crankshaft bolt on the front end of the crankshaft at the same time. 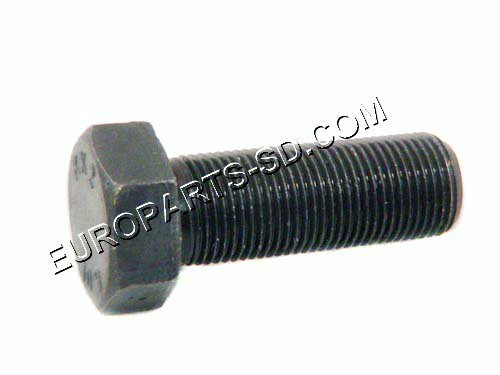 See this bolt (two different versions), listed below. See woodruff key for engines manufactured from 2002-mid 2006 below. 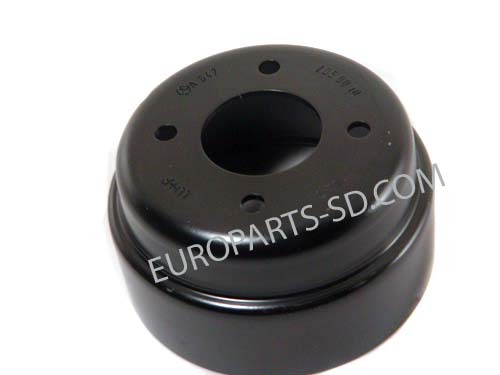 Retainer bolt in center of front crankshaft pulley/vibration damper. This used on all 2002, 2003, 2004, 2205 and early 2006 models. The torque spec that has been provided to us is 240 ft lbs or 325 Nm, plus 90 degrees. THIS BOLT IS MARKED 10.9 ON THE HEAD. 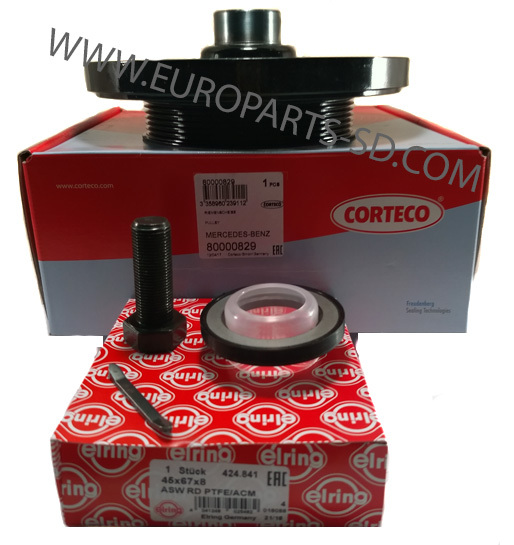 The later crankshaft (mid 2006 and later) has a single groove and uses both a different woodruff key and a different center bolt (marked 1150). If you have a 2006 model, check your bolt first, before ordering. See this second bolt, shown below. 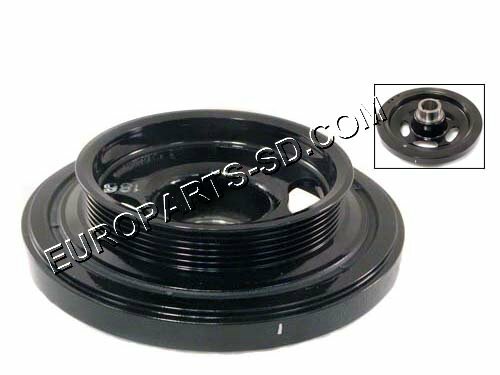 Retainer bolt in center of front crankshaft pulley/vibration damper. This bolt is only used on later 2006 engines. The earlier crankshaft has a single groove and uses a different woodruff key and bolt. If you have a 2006 model, check your bolt first, before ordering. See the other, more common bolt (marked 10.9), shown below. Only for OM612 engine (2002-2003 models). 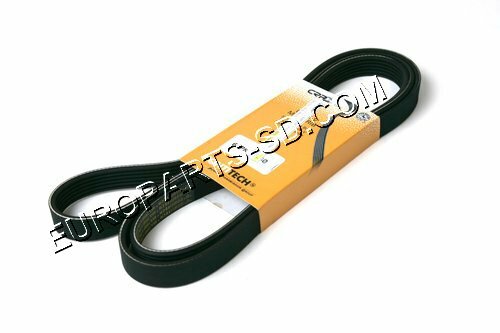 This belt is approximately 1/2 inch longer than those used on the 2004-2006 models (OM647 engine). Only for OM647 engine (2004-2006 models). 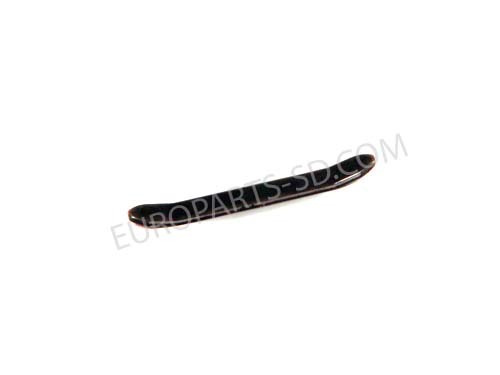 This belt is approximately 1/2 inch shorter than the belt used on the 2002-2003 models (OM612 engine). 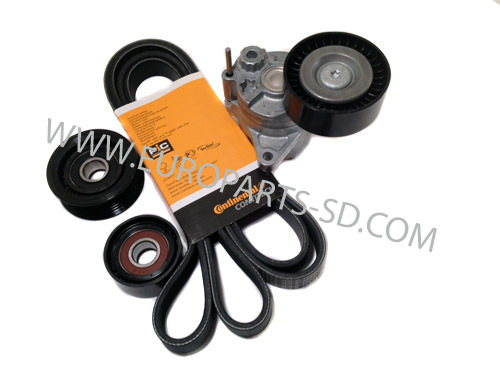 This belt s a less costly alternative to the OEM Contitech belt. US made and of excellent quality. 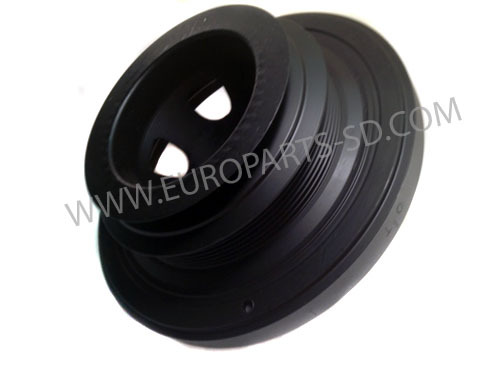 This German pulley is manufactured by INA, the OEM supplier to Mercedes. This is the identical pulley that is available at a franchise dealer. Replaced by ribbed pulley, which is slightly larger in diameter. 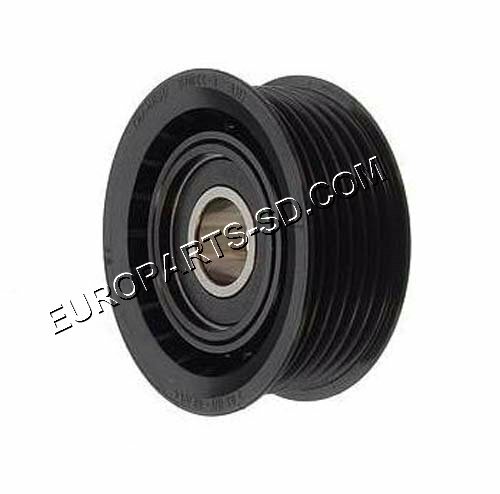 Some owners may feel more comfortable with the smooth pulley however, either the ribbed pulley or the smooth one will perform properly. Ribbed pulleys, will typically interface with the ribbed side of the belt. 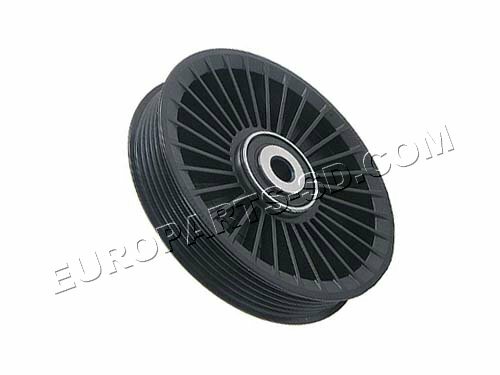 Smooth pulleys are designed to interface with the back or non-ribbed side of the belt. 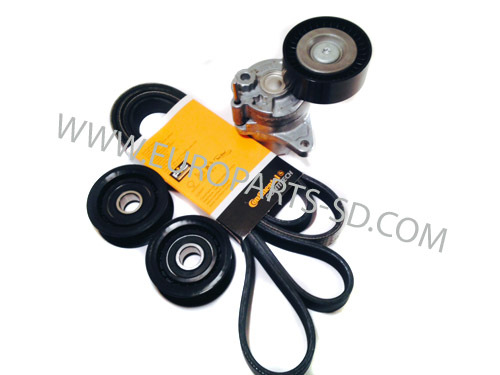 Spring loaded tensioner with smooth roller. The roller/pulley is NOT available as a separate unit. 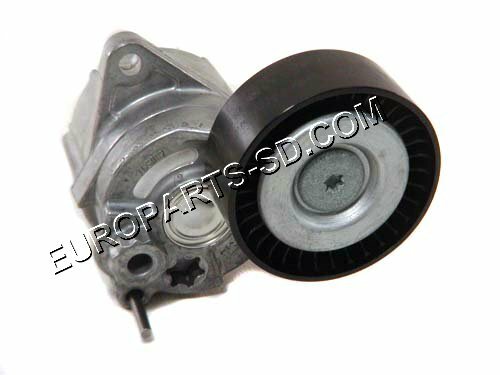 These units are manufactured by Litens, the original factory supplier to Mercedes Benz, and this unit is the identical tensioner sold at a Dodge or Freightliner dealer. Many other brands have been known to break off at the pivot arm, due to a poor design. 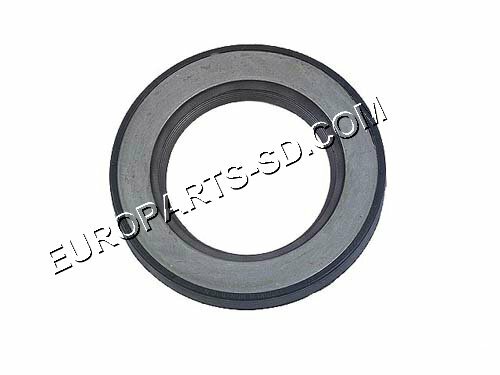 Used in conjunction with crankshaft pulley/vibration damper. 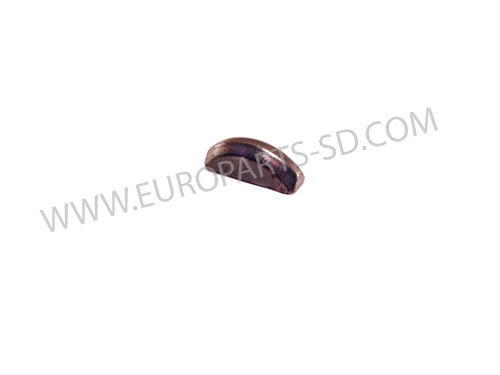 This type of key is only used on the early crankshaft (2002-mid 2006), which has a double groove. Each end of the bowed key spans the fore groove and the aft groove on the crankshaft.